Have you noticed your teeth becoming darker than they once were? 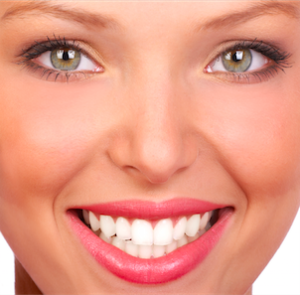 Smile Whitening is one of the simplest and most affordable ways to dramatically change your smile. Maybe you never had naturally white teeth, or you love to drink coffee or tea every morning. The hygienists at Healthy Body Dental and Dr. Adams overseeing the procedure can take years of stain away and make your teeth look naturally whiter with our professional teeth whitening treatments. “Beauty is in the eye of the beholder” whiter, brighter teeth are appreciated in our culture. How white- How bright is a very individual preference. “A one size fits all mentality ” does not work. Just as a person is different, each mouth is different. What can be accomplished and what one wants may vary. There are many processes and whitening agents available. Safety and satisfaction considerations require the doctor overseeing how each individual person is treated must have knowledge of and skill set for these processes. The doctor must have compassion and passion for the best result for that person who trusts them. A whiter smile can make you feel more confident, help you make a great first impression, and even take years off your appearance. The process is extremely simple, and the results can last for a lifetime! Thank you so much for the exceptional service Carl and I received during my visit to your office yesterday! My teeth look & feel fantastic, and my experience was nothing short of delightful. I really appreciate the extra attention you provided.